Students in Year 9 and 13 have been enjoying new leadership roles by attending one of our feeder Primary Schools, delivering exciting dance workshops. 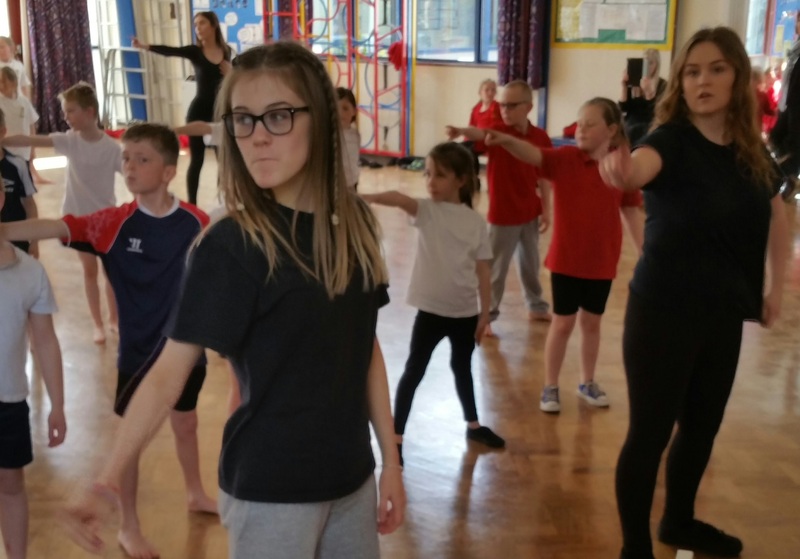 Academy Dance students have been working with pupils in Year 3 and Year 6 in preparation for Willow Woods Primary School Anniversary and the up and coming Arts Festival that will be taking place at the Winsford Academy in June. Year 3 students have been learning a dance sequence that celebrates the 1970’s era, learning exciting phrases to ABBA’s classic songs. Year 6 have been focusing on the 1990’s era, embracing music and dance from artists such as the Spice girls. The students named below have embraced the experience and are continuing to enjoy choreographing and delivering the workshops. Year 13- Amy Turner, Victoria Wlosinski, Amy Conerney. Year 9- Beth James, Ashleigh Gaucas-Noden, Maddie Woodward, Ella Murray.